The Social Justice and the Right to Health program, founded and directed by Alicia Ely Yamin, JD, MPH, is informed by the view that the lack of global progress on women’s and children’s health is not principally due to technical obstacles, but rather to entrenched societal barriers and lack of political will at both the national and international levels. Solutions that ignore root causes and underlying inequalities and power relations are not likely to be sustainable. Through targeted advocacy and strategic partnerships, and by acting as a convening platform on key issues, the program aims to promote equitable and sustained progress on women’s and children’s health and human rights at the international and national levels. c) capacity-strengthening and knowledge dissemination regarding the legal enforcement of health rights, with a particular focus on judgments relating to reproductive, maternal, and children’s health. With support from the Hansen Family Foundation, we are conducting a multi-methods study regarding the impacts of maternal deaths on living children in Tanzania, Ethiopia, Malawi, and South Africa. The study aims to document the cumulative burden of maternal mortality on the family and the community, and to discover the roots of adverse outcomes or resilience in children whose mothers die in pregnancy or childbirth. Data are sparse but highly suggestive of greatly increased morbidity and mortality among the young children left behind when their mother dies. Preliminary evidence suggests increases in family dissolution, malnutrition and other morbidities as well. By raising awareness of the real costs of failing to meet international development targets around maternal health, the HRWC Program aims to mobilize governments and other key actors to reduce maternal mortality and ameliorate the effects of maternal deaths on children. Yamin presented preliminary findings from the study at the Global Maternal Health Conference in early 2013. A video of the talk can be viewed here. Alicia Ely Yamin is on the Steering Committee of a World Health Organization (WHO) study examining the evidence of impact of rights-based approaches to women’s and children’s health. The primary research question informing the WHO study is: how do human rights-based approaches, or elements of such an approach, affect changes that contribute to women’s health and children’s health, arising from laws, policies, programs and other interventions, designed and implemented, either explicitly or implicitly, by a human rights-based approach, or elements of such an approach? In addition to examining the evidence that exists, the project outlines multi-method, multi-disciplinary approaches to research and evaluation on evidence of impact of a human rights-based approach on women’s and children’s health, as standard public health approaches are inadequate. It also sets out an agenda-setting process for research and evaluation in this field. HRWC regularly participates in expert consultations regarding the development of General Comments and other instruments that interpret and set standards in international law, such as the General Comment of the UN Committee on the Rights of the Child on Children’s Right to Health; and the General Comment of the UN Committee for Economic, Social, and Cultural Rights on the Right to Sexual and Reproductive Health. As part of global outreach, HRWC frequently contributes to knowledge sharing and capacity strengthening relating to rights-based approaches. For example, in 2013, Yamin contributed to the Partnership for Maternal, Newborn & Child Health’s Knowledge Summary on Maternal Health and Human Rights. 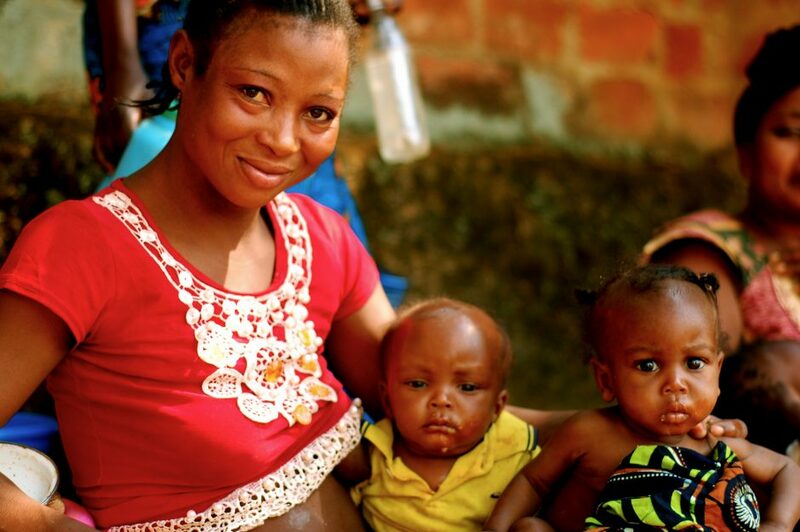 The Knowledge Summary explores human rights accountability systems and synthesizes evidence on maternal health and human rights into a user-friendly format to inform policy and practice. Yamin further described accountability systems for women’s health to members of treaty-monitoring bodies as part of the “Accountability and Human Rights for Women’s and Children’s Health” meeting of the independent Expert Review Group (iERG) of the WHO in Geneva, and co-authored the “WHO Monograph on Evidence of Impact of Rights-Based Approaches to Women’s and Children’s Health,” which concluded that by applying human rights to women’s and children’s health policies and other interventions, governments not only help to ensure compliance with their binding national and international obligations, but also contribute to health improvements for women and children. Also in 2013, Yamin spoke with other leading figures from the human rights movement at a panel event led by the Center for Economic and Social Rights (CESR), “Twenty Years of Economic and Social Rights Advocacy: Can Human Rights Deliver Social Justice,” and offered further insight in a taped address for CESR on the success that has been made in advancing economic, social and cultural rights, and the challenges that lie ahead. In 2012, Yamin also drafted the Technical Guidance on a Rights-Based Approach to Maternal Mortality and Morbidity for the UN Office of the High Commissioner for Human Rights, which is the first such concrete guidance on an RBA to be adopted by resolution of the United Nations Human Rights Council and which sets a landmark precedent in terms of operationalizing RBAs. In 2013, the Lancet published “Maternal mortality and morbidity: a human rights imperative,” signed by Navanethem Pillay of the Office of the UN High Commissioner for Human Rights, which describes the role of the Technical Guidance in human rights work. Yamin presented a webinar for UNFPA’s global staff on the Technical Guidance, which focused on the substance of the Guidance and how it is relevant for UNFPA. The webinar launched UNFPA’s Actions for Human Rights Campaign, and was broadcast live to 35 UNFPA offices worldwide. The webinar can be accessed here. Yamin also presented on the Technical Guidance at 2013’s Global Maternal Health Conference, in a talk entitled, ‘Applying rights-based approaches for the prevention of maternal mortality and morbidity: Recent developments at the United Nations.’ Based on this talk and from studying under Yamin in Tanzania, students at the Harvard School of Public Health presented an overview of the Technical Guidance to colleagues at HSPH in Boston. HRWC regularly participates in expert consultations on the post-Millennium Development Goals (MDG) agenda. Yamin is frequently called on to contribute op-eds, commentaries and blogs to global opinion-shaping forums, such as the Council on Foreign Relations’ Emerging Voices online series (Emerging Voices: Alicia Ely Yamin on Defining the Next Set of Global Development Goals), Women Deliver (2015+: Reclaiming a seat at the table), the UK Guardian (Family planning: population numbers game must add up for women), and UNICEF’s Development Research Watch (Post-MDGs: What next for a global development agenda that takes human rights seriously?). Yamin was included as a leading voice in Shaping Our Shared Future Beyond 2015: Perspectives from the Global South. The report brings together views and recommendations on the renewed global development agenda from civil society leaders across the global south. Yamin also contributed an article, “Power and Participation in Moving Toward 2015 and Beyond: A View from Civil Society,” to a special issue of ACRONYM (WFUNA’s journal) focused on perspectives of development beyond 2015, and served as guest editor of a special issue of Health and Human Rights, focused on the Framework Convention on Global Health. Yamin also serves on the executive committee of Beyond 15, the largest civil society group working to promote an inclusive, pro-poor agenda post 2015. In collaboration with the New School for Social Research and the UN Office of the High Commissioner for Human Rights, HRWC is co-organizing a notable project in regard to human rights and the Post 2015 agenda called The Power of Numbers: A Critical Review of MDG Targets for Human Development and Human Rights. The project refocuses the debate on MDGs, which has been centered on if the MDGs are likely to be achieved. Little attention has been paid to understanding global goals as policy instruments. This project investigates the impact of MDGs on policy, and if MDGs have shifted policy priorities of national governments, bilateral donors, multilateral agencies, NGOs, and other stakeholders. Based on the premise that in the post-2015 goal setting process it is important to more carefully consider the selection of indicators, and to employ more rigorous criteria than were used in the development of the MDGs, this project entails a goal-by-goal analysis by leading specialists in the relevant fields, of the choices made, the empirical and normative effects, and the range of options possible for a future development agenda. The first meeting was held October 3, 2012 at the FXB Center. In 2012, the Nordic Journal of Human Rights published Yamin’s analysis of MDG 5, which relates to improvement in maternal health (Counting What We Know; Knowing What We Count: Sexual and Reproductive Rights, Maternal Health, and the Millennium Development Goals). Power of Numbers co-organizer Sakiko Fukuda-Parr of the New School wrote an op-ed for UNICEF’s Research Watch, summarizing the motivation behind the project. In August 2013, Prof. Sakiko Fukuda-Parr presented the project in Brazil at the International Policy Centre for Inclusive Growth, which was co-founded by the United Nations Development Program and the Government of Brazil. Watch the video here. In 2013, Yamin co-edited, with Malcolm Langford and Andy Sumner, The Millennium Development Goals and Human Rights: Past, Present and Future (London: Cambridge University Press). The Millennium Development Goals (MDGs) have generated tremendous discussion in global policy and academic circles. On the one hand, they have been hailed as the most important initiative ever in international development. On the other hand, they have been described as a great betrayal of human rights and universal values that has contributed to a depoliticization of development. With contributions from scholars from the fields of economics, law, politics, medicine, and architecture, this volume sets out to disentangle this debate in both theory and practice. It critically examines the trajectory of the MDGs, the role of human rights in theory and practice, and what criteria might guide the framing of the post-2015 development agenda. The book is essential reading for anyone interested in global agreements on poverty and development. The last fifteen years have seen a tremendous growth in the number of health rights cases. Yet questions still persist as to when and how litigation can lead to greater social justice in health and enhance the functioning of health systems, rather than distorting priorities. Furthermore, in many countries people view litigation as an expensive, technical, and difficult process. The resulting lack of legal challenges weakens the enforcement of health-related laws, leaving people unable to promote their own health rights and manage their own health risks. It also allows for gross inequities in the distribution of resources for health, including a lack of attention to vulnerable groups. To address these ongoing challenges, the HRWC Program, in conjunction with the Global School on Socioeconomic Rights, leads a one-week intensive training course for academics, students, and practitioners in strategic litigation relating to health rights, in particular those of women and children. In June 2012, HRWC hosted the inaugural course at Harvard, and in September 2013 HRWC hosted participants from 24 countries for course’s second year. Participants develop specialist-level knowledge about litigating health-related rights at the national, regional and international levels. The course also aims to establish professional networks around the legal enforcement of health rights. In conjunction with the 2013 course, the FXB Center’s Health and Human Rights will release a special issue on health rights litigation, guest edited by Yamin. Submissions to the special issue are accepted through December 15, 2013. In addition to the annual health rights litigation course, HRWC regularly advises public interest lawyers and NGOs on strategic litigation relating to health rights, and participates in regional workshops on health rights litigation. For example, in collaboration with the Ugandan Center for Human Rights and Democracy, HRWC co-sponsored a regional East African workshop on health rights litigation in Kampala, Uganda from November 28-30, 2012. Yamin is globally recognized as a leader in this field and regularly lectures at institutions such as the World Bank and World Health Organization in relation to legal enforcement of health rights. Yamin’s work has been cited by courts from Colombia to India in judgments enforcing health rights, and in 2011, Yamin was named by the Colombian Constitutional Court as an independent expert on the implementation of T 760/08, a major judgment that restructured the health system. Yamin, AE and Norheim, OF. Taking equality seriously: Applying human rights frameworks to priority setting in health. Human Rights Quarterly, forthcoming May, 2014. Yamin, AE and Boulanger, VM. From Transforming Power to Counting Numbers: The evolution of sexual and reproductive health and rights in development; and where we want to go from here. Journal of Human Development and Capabilities, forthcoming 2014. Fukuda-Parr, S, Yamin, AE, Greenstein, J. Synthesis Paper – The Power of Numbers: A Critical Review of MDG Targets for Human Development and Human Rights. Journal of Human Development and Capabilities, forthcoming 2014. Parra-Vera, O and Yamin, AE. La Sentencia T-760 de 2008, su implementación e impacto: retos y oportunidades para la justicia dialógica, (“The Implementation and Impact of T 760/08: Challenges and Opportunities for Dialogical Justice”). In: Clérico L, et al. (eds), Salud: Sobre (des)Igualdades y Derechos (Health: On (In)equalities and Rights); Buenos Aires; Editorial Abelardo Perrot: 2013. Langford, M, Sumner, A, and Yamin, AE (eds). Millennium Development Goals and Human Rights: Past, Present and Future. London: Cambridge University Press; 2013. Yamin, AE. The Right to Health: Where Do We Stand and How Far Have We Come? Human Rights Quarterly. 2013; 35.2:509-517. Yamin, AE and Gloppen, S (eds). Litigating Health Rights: Can Courts Bring More Justice to Health? Cambridge, MA: Harvard University Press, 2011. Translated into Spanish: La lucha po los derechos de la salud: ¿Puede la justicia ser una herramienta de cambio?, Mexico: de Siglo XXI Editores; 2013.